Free stuff Here are some links to free stuff we offer to help you on your way with international name and address data management. 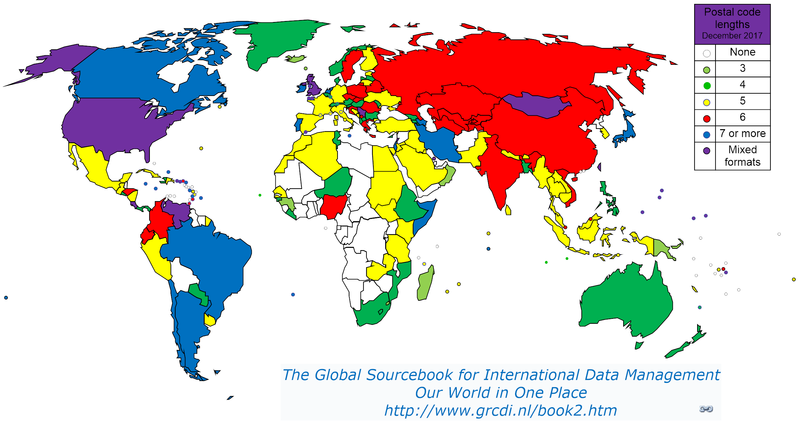 Books, maps and documents: The highly respected Global Sourcebook for International Data Management is now free to download and use. Our popular e-book Better data quality from your web form - Effective international name and address Internet data collection is free to download and use. 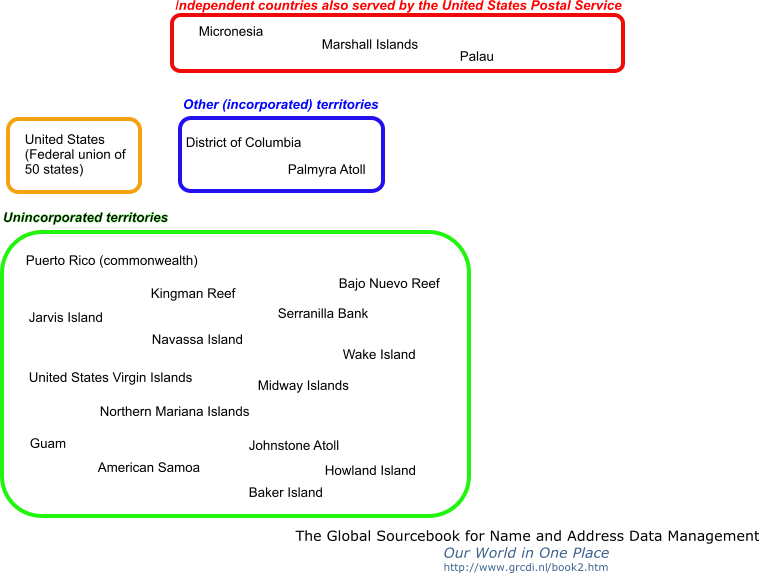 Our Map of postal code lengths throughout the world (including punctuation and spacing required) (January 2019 edition) can be downloaded here. 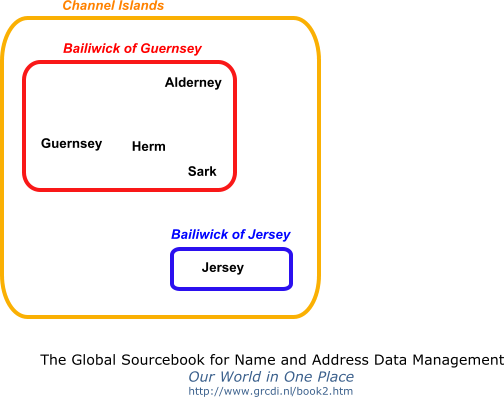 For country and regional maps and information, including regex expressions for validating postal codes by country, see the Global Sourcebook for International Data Management. 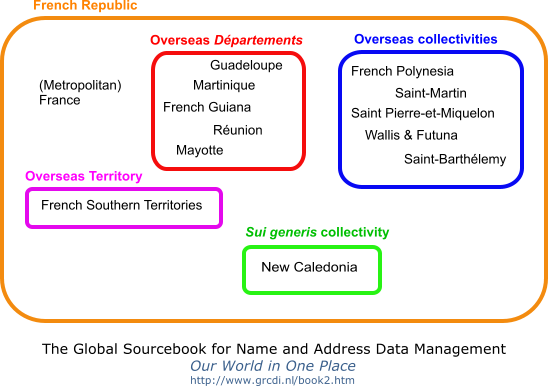 Download and use a wide variety of white papers and articles about international data quality and name and address data management. Download Venn diagrams showing relationships between political entities. 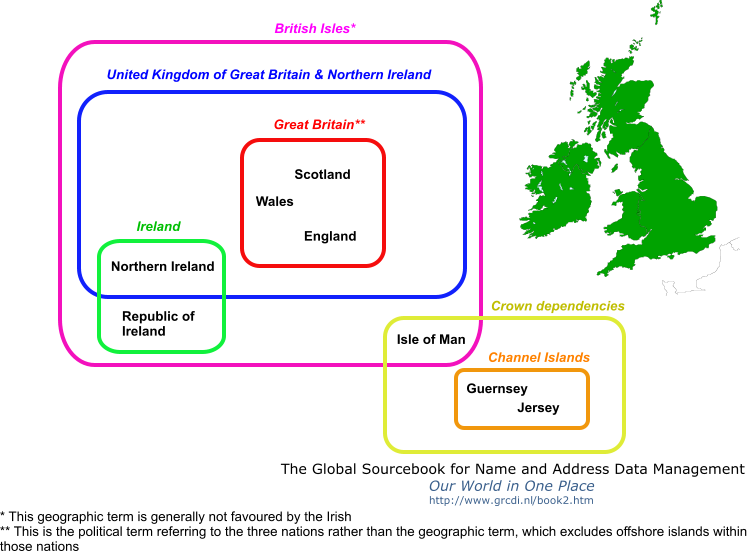 Available for Channel Islands, France, Netherlands, United Kingdom, United States of America. 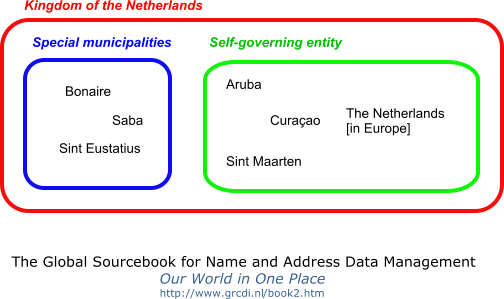 Our sister website Practical International Data Management contains many tips and examples for better understanding differences in international data and how to deal with them. Our sister website Data Quality Glossary contains definitions from several sources for words and phrases relating to Big Data, Business Intelligence, Data Cleansing, Data Governance, Data Quality, Data Security, Data Warehousing, Database Management, Direct Marketing, Geospatial, Information Management, Information Quality, Localisation/Localization, Postal Addressing, Quality and Quality Assurance Reference data: Our own internal reference table of country names and codes, especially built for international name and address data management and updated faster than other code sources. If you have any questions about any of our products, please contact us.